You’d know how important it is to buy the right kind of fishing gear. You’d be familiar with fishing hooks. Here in Australia, there are two types of fishing hooks that are widely used – J Hooks and Circle Hooks. J Hooks have been around for a while; they have a hook point that runs parallel to the shank. Circle hooks are different. They have a hook point that runs perpendicular to the shank. They are called so because they form perfect circles. What are the advantages of Circle Hooks? 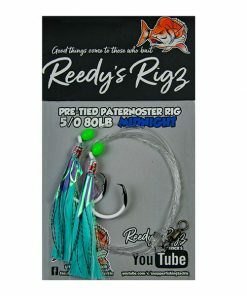 #1: Circle hooks reduce deep hooking. They do not cause the same damage to the fish as J hooks and improve the chances of survival of the captured fish. Also, there is less risk of losing the fishing tackle. #2: Circle hooks offer a much better hook-up and landing rates for various fish species compared to J hooks. #3: Circle hooks are easy to use and can be used by those who are completely new to fishing. This makes them a favorite with recreational anglers. 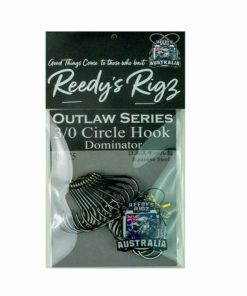 Which are the best Circle Hooks in Australia? 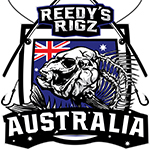 There are many manufactures from around the world that make Circle Hooks, but if you’re looking for a locally owned and operated Australia company that makes these hooks, then look no further than Reedy’s Rigz. 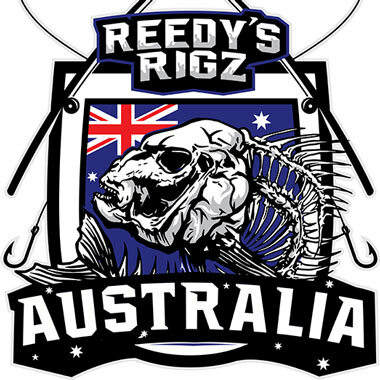 Reedy’s Rigz is an Australian maker of high quality fishing equipment. 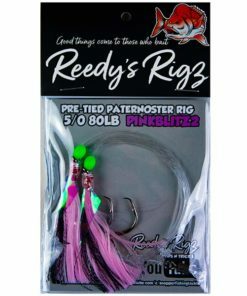 They make fishing hooks, squid jigs, rigs, lures and more. Their latest line of hooks from the Outlaw Series, the Dominator Circle Hook, has come in for a lot of praise from both recreational and professional anglers. All You Need to Know About the Dominator Circle Hooks #1: These circle hooks are made from heat-treated Japanese steel, which is the strongest material you will find anywhere. That is why they possess amazing strength and stability. #2: These hooks have a special coating process and made from a special electroplating material imported from Japan. #3: They are chemically sharpened, which means the hook point is ultra sharp and remains so even after being used multiple times. These hooks have a precision hook-point design, which makes catching the fish effortless. #4: These circle hooks are of the size 5/0, which is exactly what you need for a vast majority of the fish species in Australian waters, whether it is the ever present Snapper or the enigmatic Australian Salmon. #5: You will get twenty five Dominator Circle Hooks of size 5/0 with a single pack. And that too for a very decent price of [$10]. That’s as good as it gets for circle hooks of this high quality. 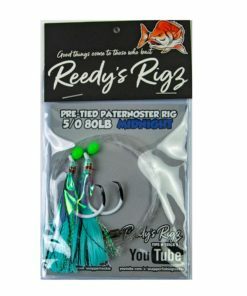 #6: Dominator Circle Hooks pair very well with Ultra Rigz from Reedy’s Rigz, the best pre-tied, paternoster rig out there. 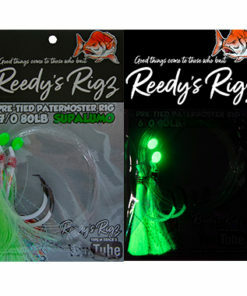 Reedy’s Ultra Rigz are made from UV fibre and glow in the dark, which attracts the fish. 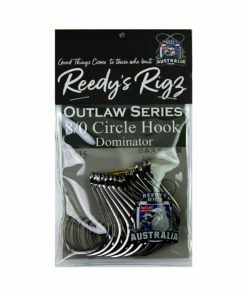 You can buy the Dominator Circle Hooks at any tackle shop in Australia.